I've started updating LMeve to ESI four months ago (see the project site on github https://github.com/roxlukas/lmeve/), but due to RL being rather harsh on me for the past couple of years regarding free time, I don't have enough of it to finish necessary modifications before XML API cutover. I'm truly sorry about that, but there is little I can do to speed it up. Unfortunately I haven't found any other third party dev interested in helping me update LMeve either. I haven't abandoned the project, but it has to wait until RL settles a bit (i.e. doing less projects in the evening). This may take a month, or this may take five months, I can't tell. Maybe if LMeve *was* a commercial project, it would speed things up... but I really want to avoid running a kickstarter for this. I'd like to keep LMeve free for everyone to use. LMeve will no longer receive data from EVE Online servers after downtime, May 8th, 2018. Copyright © 2019 Lukas Rox. 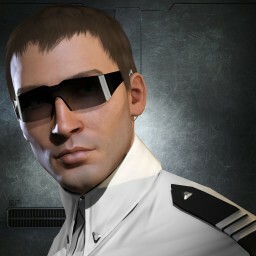 Some artwork, screenshots, characters, vehicles, storylines, world facts or other recognizable features on this website is property of CCP Games hf. and is used with limited permission of CCP Games hf. No official affiliation or endorsement by CCP Games hf is stated or implied.